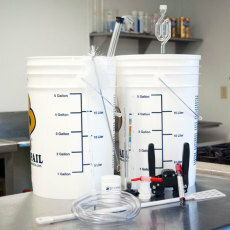 Get off to the best start, with our homebrew starter kits! Our kits have everything you need to make your first batch of delicious homebrew, including ingredients! 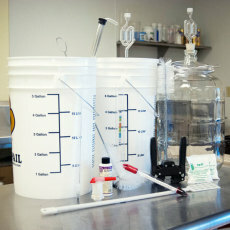 All kits ship same day, so get start your homebrewing hobby started today! Get started in brewing with this complete kit! The most complete kit on the market, for under $100! All the equipment other than a kettle you will need to start brewing one gallon batches of beer! 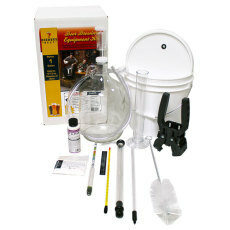 Get a more complete start to brewing with our superior kit; the most complete starter kit for under $130 on the market! Get your brewing hobby started off on the best foot with our Deluxe Brewing Kit! As our top of the line kit, you'll be able to brew a wider range of beer styles, as well as make clearer, better-tasting beer than our other kits. This is the most complete starter kit for unrder $200 on the market! This Ultimate Kit includes everything that a brewer, years into the hobby would likely have including a complete kegging system. 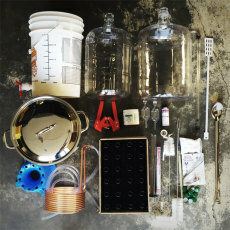 Everything...EVERYTHING you need to get started making and bottling beer. This kit is called our ultimate kit for a reason! 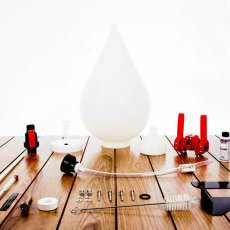 The beer equipment starter kit from FastFerment, featuring their FastFerment conical fermenter! 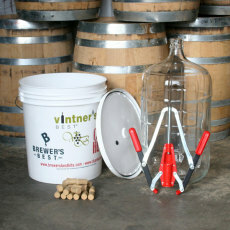 Turn the brewer in your life into a winemaker with this kit! 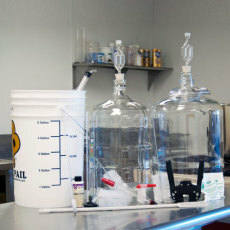 Includes bucket and carboy fermenters that are the perfect size for winemaking!